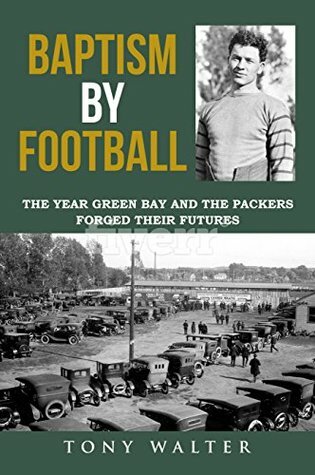 The year was 1922, and residents of Green Bay, Wisconsin, were navigating through a quickly changing post-war world that included automobiles, Prohibition, and a fledgling professional football team called the Green Bay Packers. Struggling to merely survive, the Packers took a back seat in the public consciousness to other major happenings in what would turn out to be a piThe year was 1922, and residents of Green Bay, Wisconsin, were navigating through a quickly changing post-war world that included automobiles, Prohibition, and a fledgling professional football team called the Green Bay Packers. Struggling to merely survive, the Packers took a back seat in the public consciousness to other major happenings in what would turn out to be a pivotal year in the city’s history. A new YMCA building, a family amusement park known as Bay Beach, and dozens of other developments that remain part of the city’s landscape a century later were just gaining traction. Little did the city’s residents know, but this ragtag group of football pioneers and their dedicated supporters were laying the foundation for one of the nation’s great sports franchises. And with it, the small town at the base of Wisconsin’s thumb would grow to become a vibrant city known by football fans around the world.